Well Trump’s love affair with the FBI didn’t last long. Ten days to be exact. While the mainstream media largely dismissed the charge as the petty whining of a spoiled brat behind in the polls, an elementary analysis reveals that The Donald is closer to the truth than not. But the candidate’s relationship with the Bureau changed suddenly on October 28th when FBI Director James Comey announced that his agency was reopening its investigation into Hillary’s emails. 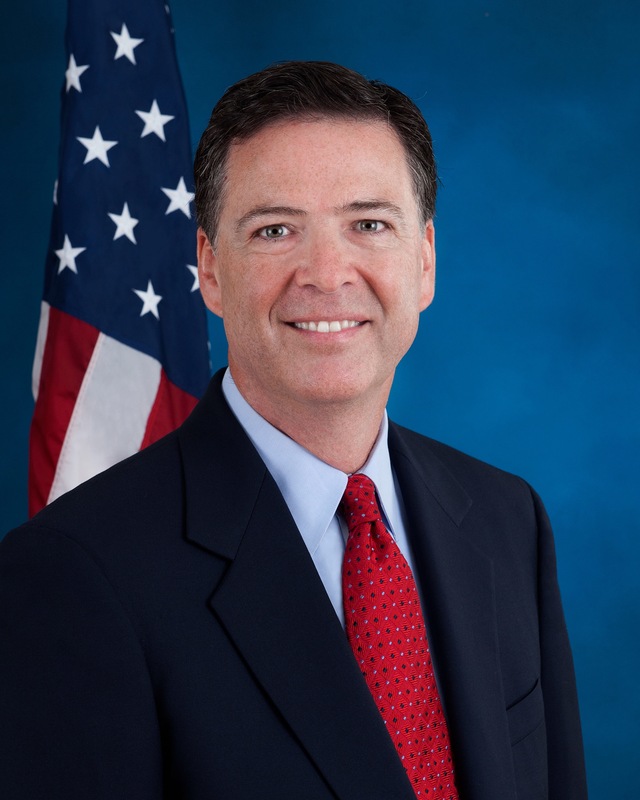 That is, until Sunday, Now, when Comey once again emerged from the shadows to declare that his agency found nothing of import on Weiner’s laptop! And just like that the rigging charge was back on, as it should be. Comey’s declaration was nothing short of miraculous considering that most everyone assumed he had sufficiently incriminating evidence to justify reopening an investigation of this magnitude in the thick of a Presidential election. The idea that the government, the notoriously slow, lethargic, federal government, could scan 650,000 emails for evidence of wrongdoing in a little more than a week was likewise tough for many to swallow. But whether you view Trump’s claims of foul play as those of a premature sore loser, a paranoid lunatic parading as a politician, or a persecuted prophet seeking to right the wrongs in Washington, the sad truth is that we will likely never know whether or not the 2016 election was rigged or not. “And why not?” you ask. The answer is a sadly simple, and familiar one: the government itself. You see, the agency responsible for investigating any evidence of fraud is the same agency that has repeatedly protected both the party and the politician Trump is accusing of rigging the election. Any investigation into election tampering would likely fall into the lap of the Department of Justice. Yes, that Department of Justice. You know, the same one that Obama has used as his personal henchmen for the majority of his Presidency. The same one that has been fighting a request from the FBI and numerous DOJ field offices to open a corruption probe against the Clinton Foundation, Bill and Hillary’s “charity” that has as of late become synonymous with “pay to play” politics. The same one that misled district courts on the issue of immigration, illegally tapped the phones of correspondents for conservative news networks, and ran interference for the IRS. The same one that Comey likely knew would refuse to indict Mrs. Clinton no matter what he found in his initial investigation into Hillary’s private email server. The one, if the investigation into the Clinton Foundation is any indicator, that could have very well pressured Comey to wrap up the email investigation before Election Day. Maybe it did, maybe it didn’t, but it’s record doesn’t help its case. Obama’s DOJ is a stellar example of federal overreach by any measure. But don’t fret; it was recently revealed that 97 percent of all Presidential campaign donations from DOJ employees went to Hillary Clinton as of September. Surely should something funny go down Tuesday, the impartiality of our Justice Department will swoop in to save the day. Why then, given this record of protection and corruption, should we suddenly expect the agency in charge of investigating election fraud to finally, truthfully investigate the woman, and administration, it has protected for so long? Expecting the government to investigate itself is a fairly silly supposition to begin with; it becomes ludicrous when the party being investigated wants to grow the government, and the one lodging the complaint wants to shrink it. Beasts of all manner tend to put self-preservation first and foremost, and the federal government is no exception. I wouldn’t eat myself, either. Trump is fully justified in his claims of a rigged system; Obama’s DOJ has a well-documented record of collusion with the administration, and seeing as how Hillary was an integral part of that administration, there’s simply no reason to believe this election is any different. If the Democrats can rig a primary, what’s to stop them from rigging a general election? Certainly not the Department of Justice, that’s for sure.